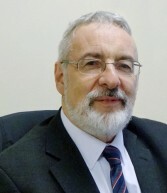 David has over 40 years’ experience as a solicitor, and is one of the three partners in the firm. He has developed many areas of specialism over the years and has a huge amount of experience as personal injury solicitor assisting clients in pursuing claims. He not only deals with road traffic accident claims, but also accidents at work and slips, trips and falls too. He has been helping clients with serious injuries to achieve claims settlements which will help them to adapt to the life changing injuries they have suffered, whether through a car accident or a work accident. David also has a long and successful history of representing landlords of commercial property in disputes with their tenants. “I joined Romain Coleman as a trainee in 1975, qualified in 1977 and became a partner in 1981. I always specialised in litigation, in my earlier days I was mostly involved in Landlord and Tenant matters acting predominantly for landlords but in the last 20 years or so I have specialised as s personal injury solicitor acting exclusively for claimants and have been a member of the Law Society Personal Injury Panel for over 15 years.